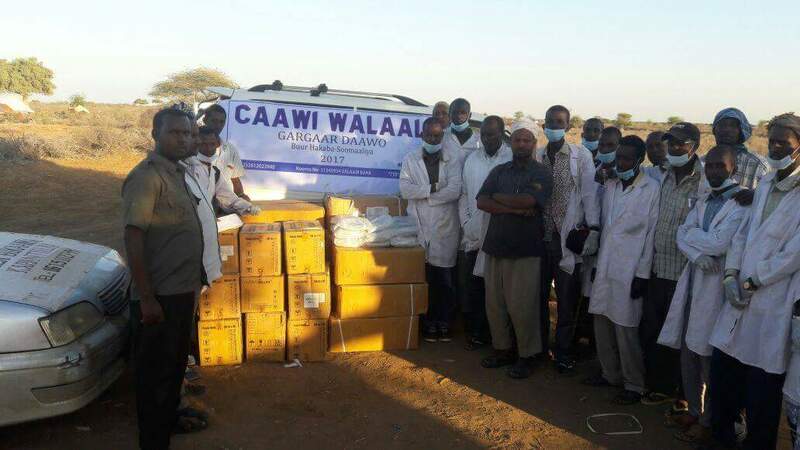 Caawi Walaal means “brother/sister help” in Somali and is the name of a remarkable youth volunteer movement that has delivered more than US$18,000 in aid to victims of the famine currently ravaging large parts of Somalia. 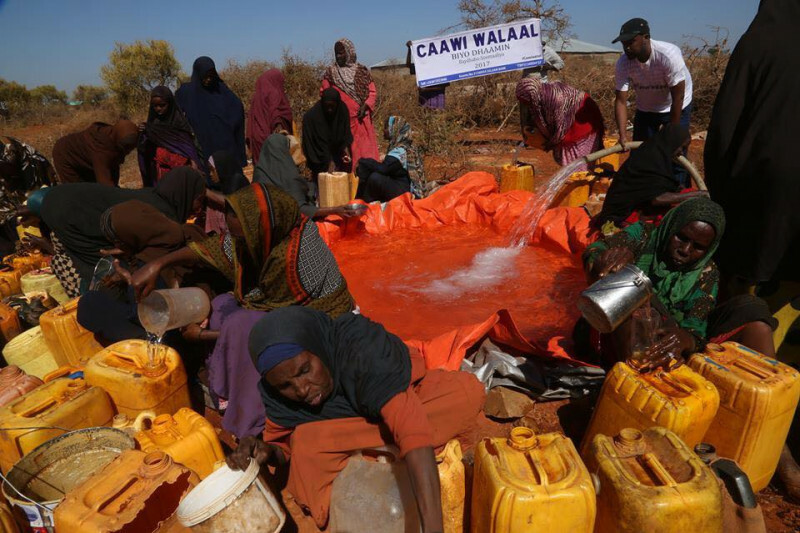 The project is rooted in social media and recognisable by its #CaawiWalaal hashtag but its achievements on the ground are very real, such as the recent provision of vital water trucks over a 30-day period to three camps in the stricken region of Baidoa. The #CaawiWalaal movement was founded by One Young World Ambassador Guled Ibrahim and other young Somalis, based at home and abroad. Its crucial work actually pre-dates the high-profile and hugely successful Love Army for Somalia initiative, which was also set up by a One Young World Ambassador, Jerome Jarre. Even before the famine was being reported widely by international media, Ibrahim and his young colleagues were responding to the crisis by raising awareness on social media and appealing for funds. They set up the #CaawiWalaal hashtag and created a GoFundMePage, managed by Ibrahim, that has raised more than US$18,660 to help those in distress from this crisis. That money is being used to help to provide food, water and medicine to over 11,000 Somali family households in 12 regions in Somalia. The work is desperately needed. The United Nations has declared that half of Somalia’s population is acutely food insecure and in need of humanitarian assistance. 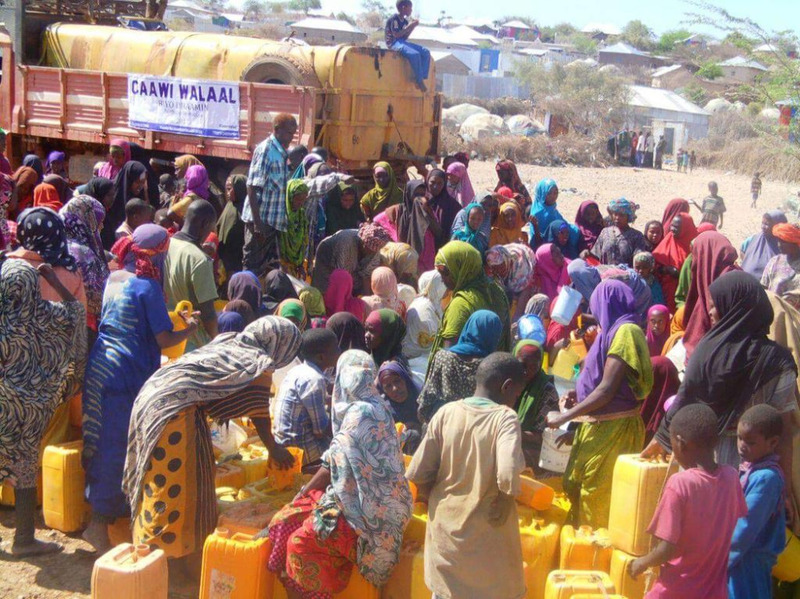 Such crippling food shortages and droughts have become a constant reoccurrence in Somalia. According to the UN, the last famine in 2010 to 2012 killed nearly 260,000 people. That death toll was even greater than the famine of 1992, which killed an estimated 220,000. But the tragedy of this latest famine is that Somalia is a country that has been on the road to recovery after decades of civil war and instability. Its young people are not prepared to allow the crisis to destroy the progress that has been made. Another digital-based youth volunteer programme, called #Abaaraha (meaning “famine” in Somali), is working closely alongside #CaawiWalaal to maximise relief efforts. The abaaraha.org website has been set up to provide real-time reporting of famine-affected areas where people most need help and #CaawiWalaal volunteers have used this resource to respond to urgent needs immediately and to deliver vitally-needed water, food, and medicine. Both #CaawiWalaal and #Abaaraha have been featured in news media and both projects have been invited to participate at the upcoming event TEDxMogadishu. The two groups have shown that “Somali-led responses can be effective, immediate, and sustainable”, Ibrahim says. Through the Love Army for Somalia movement, One Young World Ambassador Jerome Jarre raised US$2.5m in 24 days. The project has partnered with the American Refugee Committee to ensure that the money is used to provide essential supplies to those who most need it in Somalia. One Young World has created a Love Army for Somalia scholarship to enable a young Somali leader, with a track record in tackling food shortages, to attend the One Young World 2017 Summit in Bogota, Colombia, and share ideas with young leaders from other parts of the world.